It sounds intimidating but collecting art is one of the most enjoyable forms of shopping. Of course, people never refer to it as shopping - we shop for groceries, we collect beautiful art. To many people, acquiring art is a passion that channels their inner creativity for what they wish to own or how they want their home to look. For some, there is the thrill of owning something created by an artist of significance, but most of us buy art simply because we like look of it. The first rule is that there are no rules. Use sensible guidelines to avoid problems like bankruptcy or trying to squeeze a mammoth painting into a tiny apartment, but you can buy art in any fashion or way you wish. That's what makes it fun. We can help with those guidelines. You just need to find the way that works for you. The fun starts by acquiring knowledge. Visit galleries. Visit art museums. Meet artists. Attend a major art event. Visit auction houses. Join art patron groups. 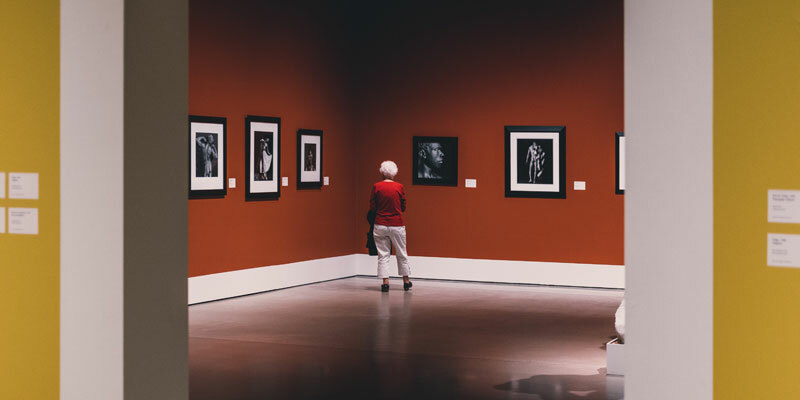 Browse the Internet's vast array of information about art, and you can start with Instagram or Google's game-changing Arts and Culture app. Build a library of books about your favorite artists or preferred style - a catalogue raisonné will offer comprehensive details of an artist's work. With 2,000 years of art to consider, there is much to learn and, art being art, very little of it is dull. The stories behind artists and their art can be illuminating. Do your research at galleries and art museums. Like anything taken terribly seriously, there is terminology and jargon to learn. Back in the 1990s, you had to research terms by reading glossaries at the back of art history textbooks or nervously ask gallery assistants what "gouache" meant. Some terms are historical while others are technical. Photographic art (from daguerreotypes to carte de visites) is largely technical as it evolved from a new technology. Now you can go online and research key terms in seconds. In-depth research will open up areas of art that capture your imagination. It could be a single artist, or a group of artists operating in a similar environment or a shared style. It could be an era, a movement, or a medium, or art that addresses particular subject matter from landscapes to portraits or civil protests. It could be as simple as a subtle shade of blue. 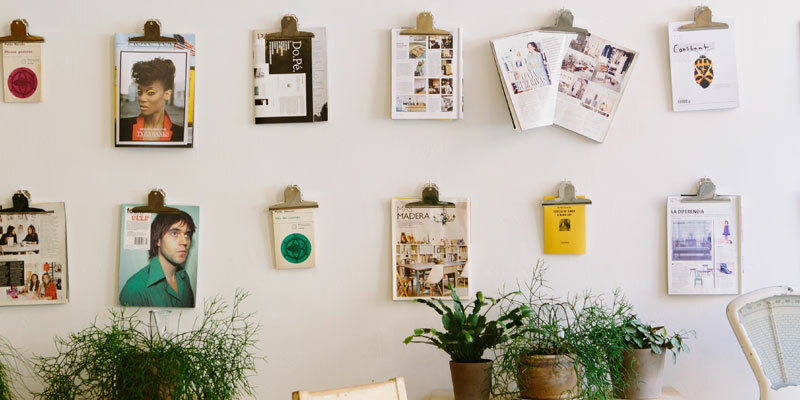 By narrowing your options, your collection has the chance to develop a strong theme and themed displays can be eye-catching. It takes skill to mix and match multiple art styles in one room. To break art down into the main mediums, you are looking at paintings, drawings, prints, photography, sculpture, and mixed media. Each one has its own terminology and multiple variants. But there is much, much more, ranging from digital art to stained glass windows. Art is deeply personal and what makes good art is subjective. The art is going to be placed in your home so don't worry about trends - buy something that is going to make you happy. Art snobs are to be ignored (it was no fluke that Woody Allen used art galleries as the background for his most pretentious movie conversations). You don't have to focus on one-of-a-kind original artworks. One caveat - ask yourself if this piece of art will still make you happy in 10 years? This means understanding the dimensions and perhaps weight of your new artwork, and everything else that will be visible around it. Is the artwork already framed? If not, what's your framing plan? Do you have the room? Will your room's color scheme work with your new art? How will the lighting affect your artwork? Is there a risk of damage from playful children or strong sunlight? Big is not always better - the right collection of small watercolors can have more impact than a pop art installation. Consider your overall space. Notice how galleries exhibit art. Consider where your art will be placed. Set a budget - and, more importantly, stick to it. The words: "Darling, I bought a lovely painting today but it's a little more expensive than I expected" generally do not enhance marital relations. It's easy to blow huge amounts of money on art so consider your bank account before pulling the trigger on your credit card. Sounds feasible, isn't. Professional art collectors, who continuously invest in art, fail to generate profits on the majority of their purchases. To succeed, you need to identify the most talented artists in the early stages of their careers and gamble that the rest of the world is going to agree with your assessment. If you really want to talent spot, then new and 'fringe' galleries can be wonderful places to discover up and coming artists before they are famous. A piece of art may have been created two months ago or two centuries ago. The older the object the more you need to inquire about its condition. How has it aged? How has it been cared for by previous owners? If an object has been repaired or restored, it's fine to ask about the nature of that work and close-up photos of repaired areas if you are buying online. Just like rare books, provenance is important in understanding the history of a piece of art and confirming that you are paying a fair price. It's vital for original paintings. You need to know the details of previous ownership and see evidence of how artwork has changed hands over the years. If you are considering artwork from big-league artists, then third-party experts can be used to verify authenticity. A certificate of authenticity provided by the seller isn't worth the paper it's printed on. Buying directly from an artist is the ultimate method of satisfying questions about provenance. 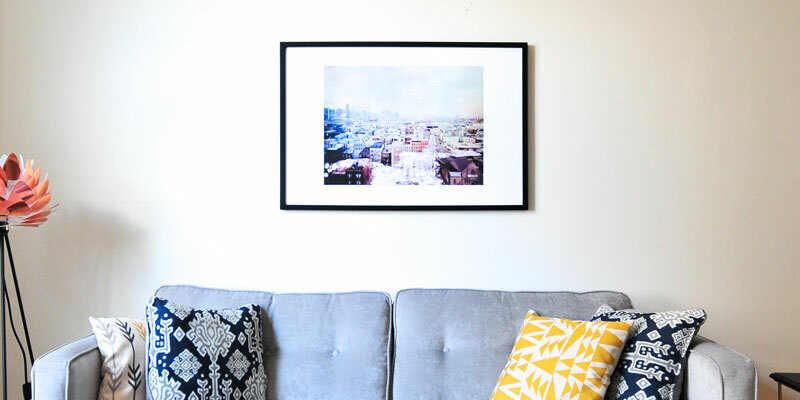 When buying on a budget, it makes sense to look for art produced in limited but multiple quantities. These items are usually priced to sell and give collectors the chance to own art from more famous artists. Also etchings and other works on paper can be substantially cheaper than major works on canvas. If you absolutely must own a Monet but you haven't got any money then reproductions and posters are the way to go - many collections started with a poster. 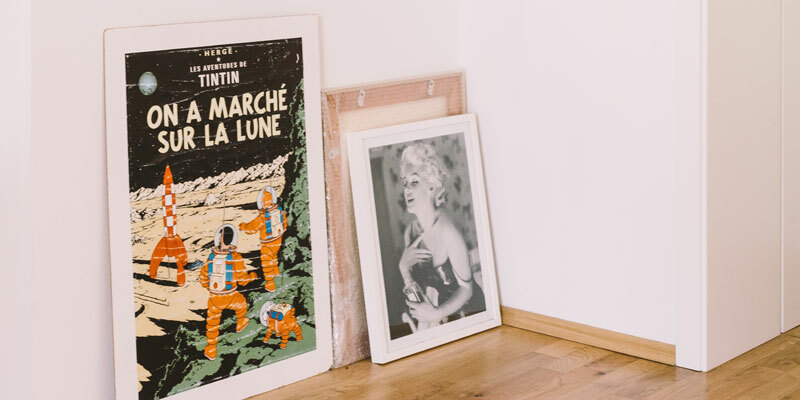 Consider limited edition prints when buying on a budget. Art comes in all shapes and sizes. You don't have to focus on oil paintings and stone sculptures. Consider artists' books, prints originally created for publication in a book, conceptual art, indigenous art using wood or natural fibres, digital art, ceramics, or mashups of antiquity and modernity. The list goes on and on. Critics used to laugh at people who suggested graffiti could be an art form - now Jean-Michel Basquiat is a $100 million artist. The art world is your oyster. Think outside the paint box. What art collecting tips do you have?